The Siamining mining pool for SiaCoin (SC) that we have already covered a couple of times has something new and interesting for the people mining SIA. 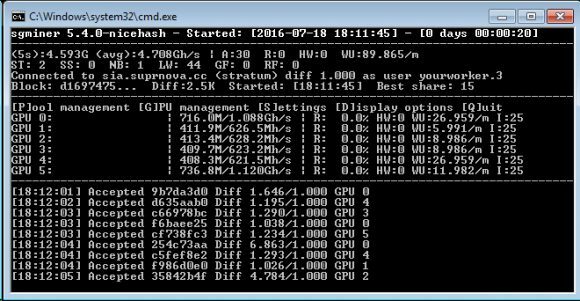 They have released a new Stratum-only OpenCL GPU miner for their mining pool that is designed to be fast, lightweight and easy to use. Do note the miner is supporting only SiaMining’s Stratum protocol implementation as there are a few different Stratum approaches, so the miner will not work with other pools unless they have implemented the same Stratum support. 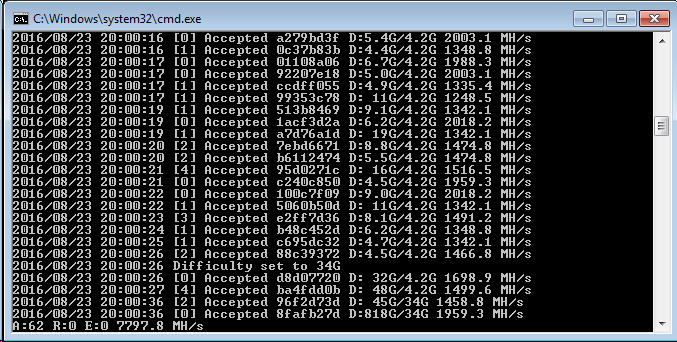 We have tried the Marlin miner and it seems to work pretty well, delivering what the devs promise indeed. What we don’t like about it however is that there is no source code published on their GitHub and only a 32-bit Windows binary and 64-bit are available for users to download. 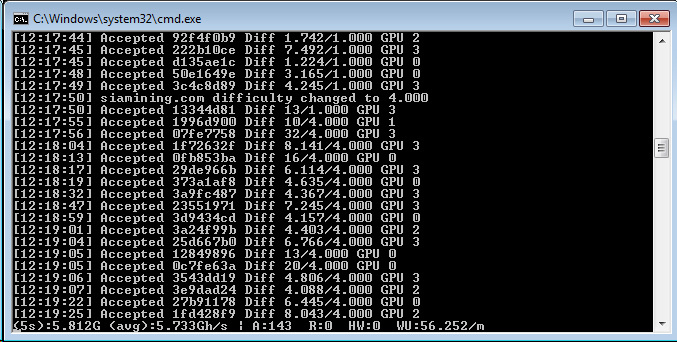 Since there is no source you cannot compile the miner yourself and that may be a limiting factor for some users. 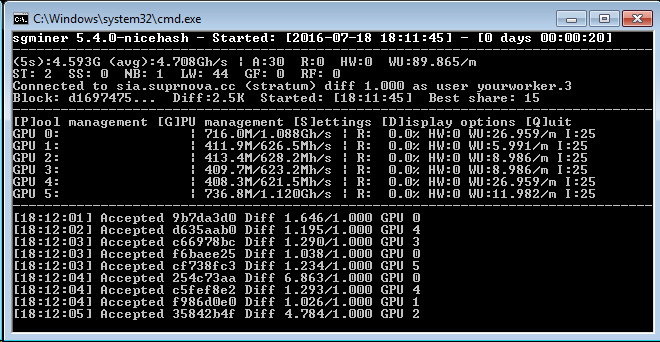 Do note that even though the miner is OpenCL one you can also use it on Nvidia GPUs as well as on AMD, unfortunately tpruvot’s ccMiner fork does not yet support the Stratum protocol used by SiaMining. So if you are Ok with downloading binary releases, you can do so and try the Marlin miner yourself… that is if you are mining SiaCoin on the SiaMining pool or are planning to check it out. The Siamining mining pool for Siacoin (SC) we have written about recently has also added Stratum support. Their Stratum implementation however is a bit different from the one that Suprnova has introduced a few days ago for their mining pool and thus requires users to use a different version of sgminer. While the Suprnova Stratum implementation is more of a getwork over Stratum and based on our tests it does perform very well, Siamining is claiming that their solution in true a Stratum support, so in theory it should result in slightly better efficiency. Of course the Siamining mining pool does still support the regular Siacoin Go pool miner that also produces very low percentage of stale shares, though with Stratum support the results should be even better now. The first Siacoin (SC) mining pool with Stratum support by Suprnova is now available in beta and you are welcome to give it a try and report your experience with it. In theory the stratum support should result in further reducing the stale shares and improving efficiency, so if everything works fine you should be able to mine more coins for the same time. Again, a reminder that the pool is still in beta and since it was just recently launched it still has not found a block, but in order to attract users to test it out there is currently a promotion giving away 20% Bonus for every Block found on the pool. Do note that the pool requires a special fork of sgminer with support for Stratum for Siacoin (source). 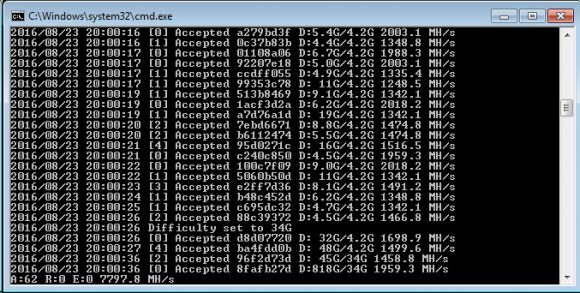 Below you can find a 64-bit Windows binary of the miner for Siacoin (SC) mining that you need to use for mining on the pool. Our initial tests have shown that the miner offers similar performance to the one you can get with the Siacoin Go pool miner on other pools or just a bit faster with higher intensity. You may experiment with the settings and report what works best on your hardware, we have tested the miner on both AMD and Nvidia GPUs and it works fine on both. Again a reminder that the Siacoin stratum pool is still in beta, so it is for testing only and you might want to move just one GPU for example and not transfer all of your hashrate.